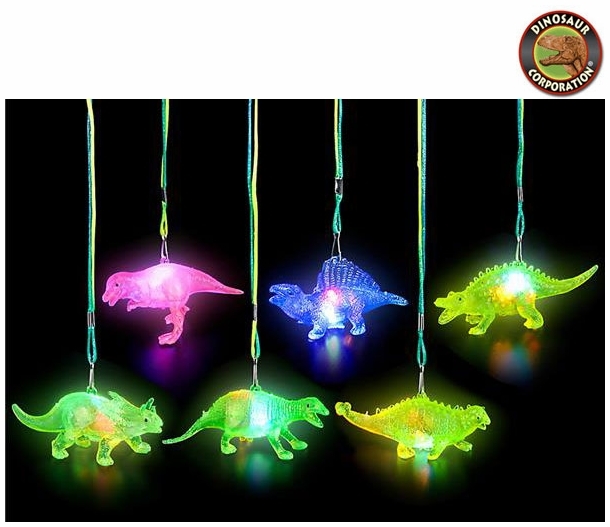 Flashing dinosaur pendant necklaces are perfect party favors for dinosaur lovers. Press dinosaur necklace and watch the lights flash. Each dino is on a multi color lanyard.